As your Lake Villa commercial painting contractor we can truly enhance the visual appeal of your place of business. Our complete painting services ensure that your project is done well from beginning to end. We provide you with color recommendations as needed as well as guidance in determining the type of paint best suited for your project. We will carefully prepare the surface of your space before painting, covering areas that are not being painted and thoroughly cleaning up at the end of each day. 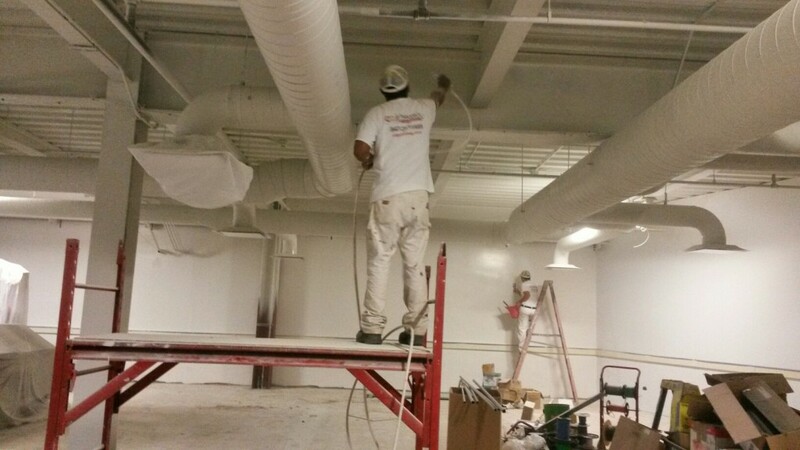 In all commercial painting projects, we are flexible to adjust to your schedule and needs. We understand that your business is one of your biggest investments. Providing Lake Villa with complete commercial painting services, we treat every project with the care it deserves. Lake Villa, a town of about 9000 residents, incorporated in 1901 and was originally a resort town for tourists. E.J. Lehman brought a railroad and resort hotel to Lake Villa in 1886. Lake Villa is best known by it’s Lehman Mansion, where a variety of events are held each year including one the most historically rich and well attended, Civil War Days. Lake Villa is a great place for families, also known for its waterfront homes and as a place to enjoy the outdoors through hiking, boating, fishing and swimming. Lake Villa is also home to many thriving locally owned businesses like CQ Painting. We are a residential and commercial painting contractor that offers complete interior and exterior solutions for your home or business in Gurnee, IL.